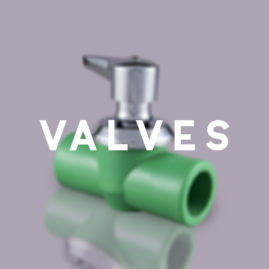 Since a few years the PP-R (polypropylene random copolymer) is the alternative to the use of other materials in the sanitary facilities for the transportation of hot and cold fluids. 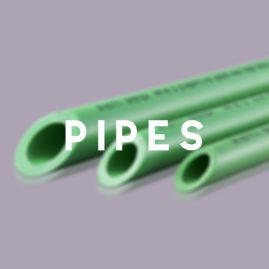 The chemical and physical characteristics of polypropylene and the type of junction of the various elements through welding, secures to the realized systems a perfect seal and guarantee over time because it is a product of excellent quality. The polypropylene is a one of the most secure material because it does not transmit odor or taste, or toxic substances or chemicals to water. It is nontoxic, hygienically perfect and it is harmless because it does not corrode, does not splinter and does not crush. The polypropylene is in all effect ecological because it does not produce solids waste, liquids and gases. The Rietti Group PPR system offers a complete range of components of high quality and reliability, furthermore we offer two lines of colors. Green and brown, depending on the client’s preferences. The pipes are in PN20 and the fittings in PN25. 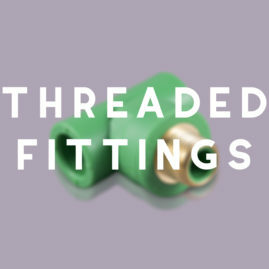 We ourselves produce the steel inserts used for the threaded fittings and we guarantee the maximum in safety and reliability terms, as it is produced with OT58 brass, turned heat treated to ensure the greatest resistance and flexibility under stres. 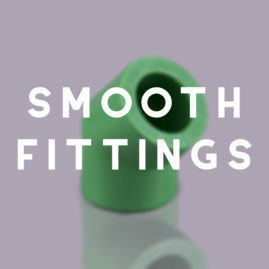 Our inserts are characterized by the typical “Dovetail” working side, which avoids that the plastic part brakes free after the molding. The pipes and fittings of our system are in compliance with hygienic and sanitary requirements, requested by the Ministry of Health Circular No. 102 of 02.12.1978, concerning plastics materials, intended to become into contact with drinking water. In March 1998 the brand RIETTI obtained the quality certification ISO 9002.